A leading anti-vaccine group claims that day cares are breaking the law by denying kids who haven't been vaccinated. Experts say the group is misinterpreting the law. The next vaccine fight could be coming to a day care near you. Texans for Vaccine Choice, a group focused on anti-vaccine policy, says it has received hundreds of calls and emails from parents of children without vaccines who were rejected by private child care facilities. Now, the group has put a call out for those families to tell their stories. The plan: Collect as many responses as possible and present them to the Texas Health and Human Services Commission in an attempt to end those denials. The effort has the potential to open up a new front in the fight over vaccines. Thus far, much of the skirmishing has been over public schools. Texas law mandates vaccine requirements for licensed child care centers. But legal counsel for Texans for Vaccine Choice is pointing to a Texas statute that says child care facilities regulated by the state can forego vaccine requirements if parents have a medical exemption or conscience exemption. Using a legal interpretation that experts dispute, Rebecca Hardy, director of state policy for Texans for Vaccine Choice, said the statute means child care facilities don’t have the right to deny exemptions and are putting families who cannot find care in a bind. Allison Winnike, president and CEO of the Immunization Partnership, a group focused on promoting vaccinations, said the statute that Texans for Vaccine Choice is pointing to does not require day care centers to enroll everyone regardless of immunization status. She noted that private day care centers are allowed to have additional admission requirements beyond the minimum set by state law, which may include requiring that every child enrolled be vaccinated. "Parents cannot simply ignore the vaccine laws or ask the child care center to ignore them,” she said. Still, she said, it's not surprising to see groups like Texans for Vaccine Choice look "for ways to game the system for personal gain." “They’re looking for loopholes to try to skirt the laws that the rest of us follow to protect the public’s health,” she said. It's unclear exactly how Texans for Vaccine Choice hopes to accomplish its goals, however. Hardy and Texans for Vaccine Choice’s lawyer declined to say whether they planned to push for legislation that would require child care providers to accept children who haven’t been vaccinated, only that they planned to provide the information they collect to state regulators. But Winnike said that parents who choose not to vaccinate their kids are putting medically fragile children who cannot be immunized at risk. She said an increasing number of child care centers are promoting their vaccination rates to parents as a reason to have their children attend day care there. The public health community is still reeling years after a widely debunked study linking vaccines to autism fueled many parents' fears. Public health experts say “herd immunity” is important because if enough children are not vaccinated, their resistance to a disease can be compromised. Anti-vaccine parents have argued that they should be the ones to decide what’s best for their children. Public health experts are fighting an uphill battle as outbreaks of diseases of the past like measles, mumps and whooping cough have resurfaced nationwide among people who are unvaccinated. Texas is one of 25 states that have experienced a measles outbreak in 2018, according to the federal Centers for Disease Control and Prevention. In addition, nearly 140 unvaccinated children nationwide died from the flu last year. 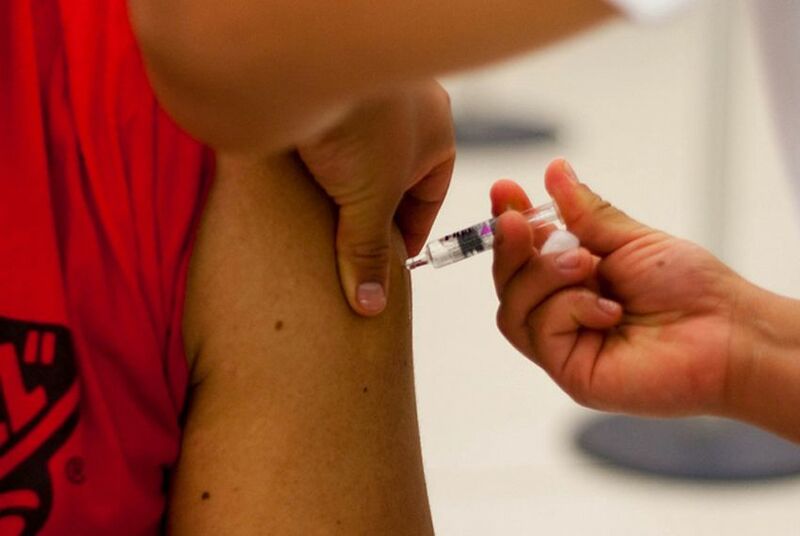 There were 56,738 Texas students from kindergarten to 12th grade with a conscientious vaccine exemption, according to Texas Department of State Health Services' latest report. The average vaccination rate among all Texas students was above 95 percent. State law says that any child who has a nonmedical vaccine exemption may be unable to attend school during a disease outbreak. Data on vaccine coverage rates among child care facilities in Texas is sparse, however. The Texas Department of State Health Services hasn’t conducted a survey for child care facilities since 2013. “Due to our staffing shortage, DSHS also discontinued the report and we do not currently have plans to conduct this particular survey,” Anton said. Agency officials said better data is available under the National Immunization Survey done by the Centers for Disease Control and Prevention. They said it’s current and more representative of child vaccine rates beyond the day care population. But the state needs good data about health, safety, and quality standards in the child care system so parents can make decisions for their kids, said David Feigen, early childhood policy associate for Texans Care for Children, a child welfare advocacy group, in an email statement. "I can't say that I'm shocked that the numbers are out of date,” Feigen said. “The fact is that state child care data — whether on issues of safety, suspensions, or health — are severely lacking in Texas."